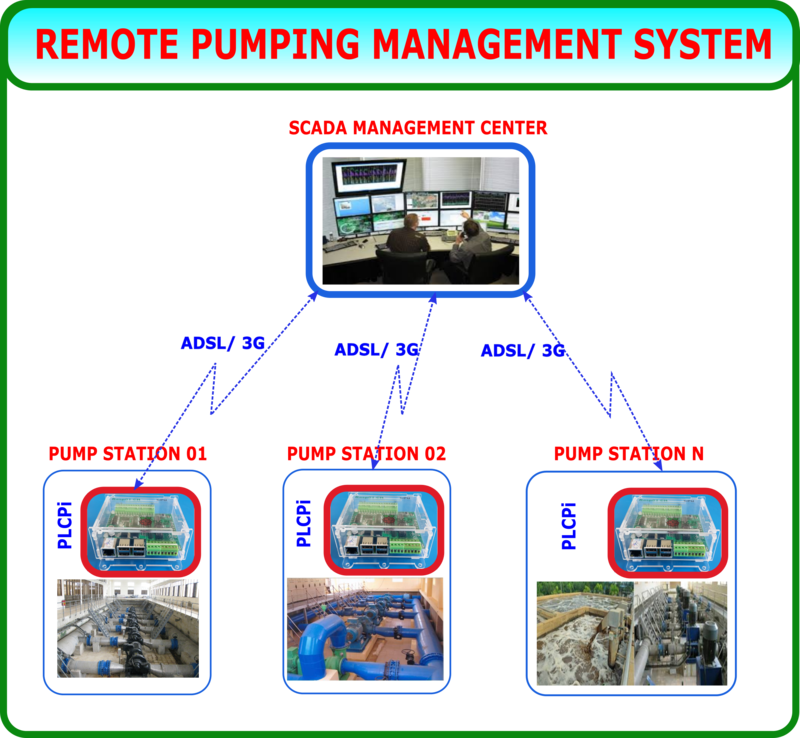 All remote pumping stations can be realtime-communicated to the management center based on PLCPi Profinet communication base – adsl line or 3g dongle. 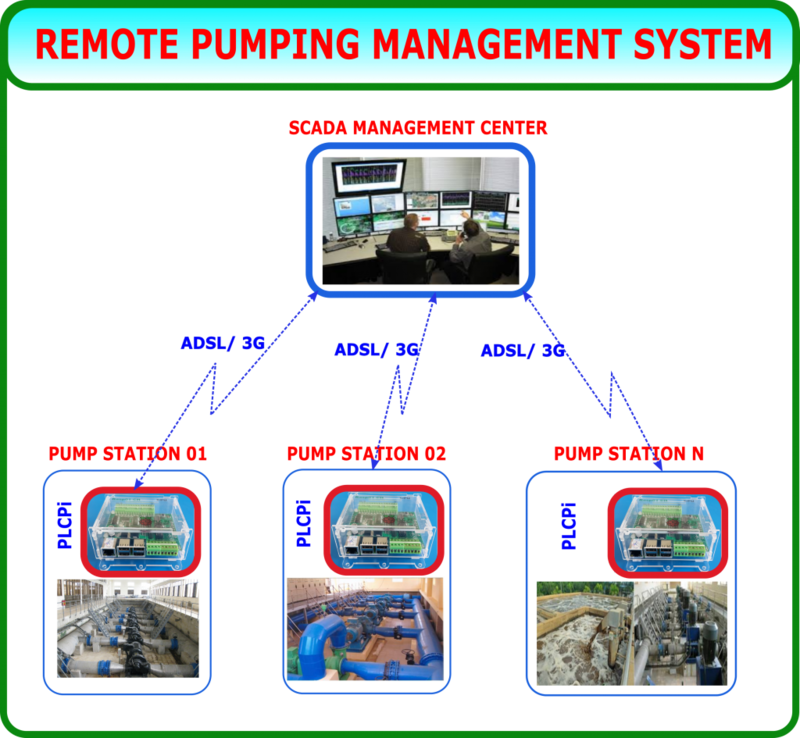 In management center, a SCADA system can be used to interact with pumping stations by profinet driver. ATSCADA system is a suitable SCADA package that is recommended from ATPro Corp.